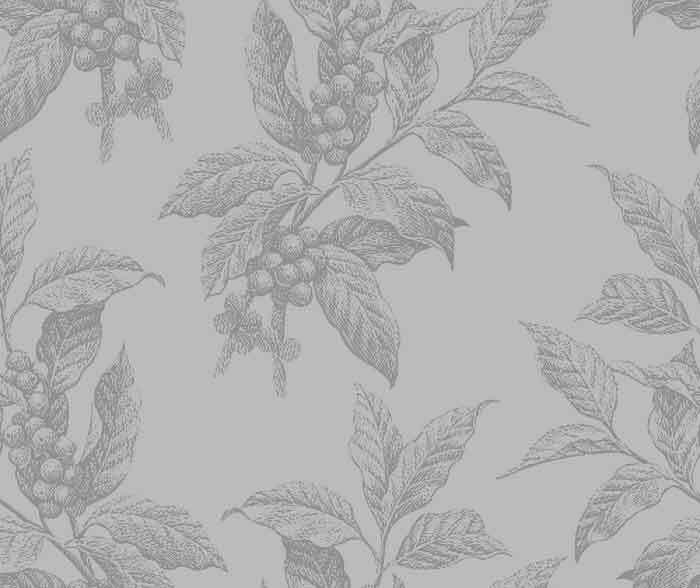 JamesBowman.net | What's the Story? From The American Spectator. November 29, 2006. Once I had a friend who was such an extreme anti-historicist that he affected to believe — I still can’t quite imagine that he really did believe it — that there was no reason on earth why Beethoven should not have been born in our own time and have written the same music he wrote two hundred years ago, or why some Stravinsky or Stockhausen avant la lettre should not have written music of the kind that those gentlemen did and do had he happened to have been born in Beethoven’s time. My suspicion was that this person thought it an insult to human freedom, in which he and I both believed, to recognize that there was any such thing as historical contingency at all. If so, he seems to me to have got things exactly the wrong way around. For it is when we fail to recognize and understand all the historical reasons why we think, talk, write and act the way we do, that we are the slaves and the prisoners of our history instead of its masters and molders. But Hollywood is clearly of my friend’s mind. It sees no reason at all why it shouldn’t continue making what it has taken to calling by its pretentious French name, films noirs, even though film noir was the product of very particular historical circumstances and looks ridiculous when we try to copy it today — even when the films that do the copying are set in the era of the film noir, which is the 1940s and early 1950s. In fact, a 1940s or 1950s setting for a film today is almost certainly a tip-off that it is going to be sheer fakery, since the things that interest today’s audiences about the period — the costumes, the cars, the constant smoking and drinking, the striking poses of the tough guys and brassy dames and, above all, the "repression" and self-conscious disillusionment — are so much easier to copy than the historical circumstances that produced these things. By now, over half a century later, we have been so long without those inhibitions whose presence creates "repression," and so long without those illusions whose absence creates disillusionment, that we have forgotten what they were. Just to recap for those who were born too late to remember them, the most common of the illusions perdues of the period were of the possibility, even the expectation, of unselfish love, sacrifice, virtue, honor and human nobility. The grown-up audiences of the 1940s and 1950s would have had memories of these beliefs and expectations from their childhoods and — especially if they were among the many who had been through depression and war — some gratifyingly disillusioning experiences of their own to make them empathetic participants in their cinematic heroes’ disillusionment. They would moreover still have known at first hand and have been possessors themselves of the full set of repressive inhibitions and prejudices whose discrediting in the 1960s was what finally killed off the genuine film noir. Yet now, nearly half a century after disillusionment became a cliché and repression a painted devil demanding to be ritually slain, the movies are still re-enacting these foundational myths of the post-modern era as if we needed them, as perhaps we do, to reassure ourselves that our culture’s departure from the beliefs — call them illusions if you like — that sustained our ancestors over so many centuries was right and necessary. Like the pulp fiction that they are mostly based on, the characteristic mode of these entertainments is one of seeing through the hypocrisies and deceiving appearances that are presumed to mask it to the sordid reality beneath. But now we are so accustomed to seeing through these things, so ready to take for granted the deceptiveness of appearance, that the disillusionment of the 1940s has become nothing more than a form of cheap cynicism. Now there’s no trick at all to being knowing about the evil in the world. What would be shocking today would be the survival of an illusion or two. Moreover, by going for that noirish "edge" or "attitude" rather than trying to tell a story, today’s movies miss the fact that story and not atmosphere was the essence of film noir. You only have to look at the three recent examples of neo-noir that opened the bidding in the Oscar-auction of September. To me it was not surprising that none of these three prestige projects, Hollywoodland by Allen Coulter (director) and Paul Bernbaum (writer), The Black Dahlia by Brian DePalma (director) and Josh Friedman (writer) and All the King’s Men by Steven Zaillian (writer and director) were box office disappointments (at best), as all three tried so hard to convey that atmosphere of hard-won knowledge and world-weary cynicism that they forgot the first rule of classic Hollywood story-telling, which is that something should happen, and that the movie should explain why and how it happened. In short, they forgot to tell a comprehensible story. 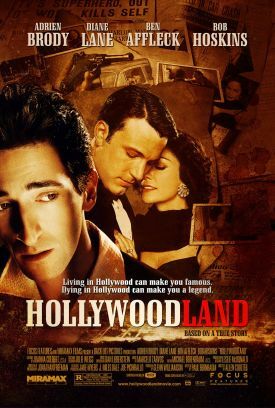 In Hollywoodland, Adrien Brody wanders hither and yon, looking for information that might solve the mystery of the death of TV Superman George Reeves (Ben Affleck). Was it suicide, as the coroner gave out, or murder? And if it was a murder, who had killed him? But neither he nor we ever find out the answer to these questions. Thus: no story. Instead, there is just an infinite regress of possibilities. All that we take away with us is Mr Brody’s character’s painful realization of how awful and corrupt everything in Hollywood is. Well we knew that! We’ve been disillusioned for three quarters of a century, remember? Likewise, Robert Penn Warren’s carefully contrived disillusionment at the corruption of Louisiana politics and, by implication, all politics in All the King’s Men is very old news. We can tell because Mr Zaillian never actually gets around to presenting on screen any particular act of corruption by his hero, Willie Stark (Sean Penn) but just takes it for granted that there must have been some. In deference, presumably, to Mr Penn’s well-known political beliefs, there are hints of a story, somewhere off-stage, about the rise of a fascist demagogue, but when Willie’s own career is cut short this is reduced to mere portentousness. There is just a hint, too, of Penn Warren’s story of a good man corrupted by power, but Willie’s transition from goodness to corruption is so abrupt and unexplained that whatever that story might have been remains untold. In both Hollywoodland and All the King’s Men there is no development. All the action is just a kind of buzzing around the central, inert fact — that George Reeves was, in some indeterminate sense, both participant in and victim of Hollywood’s sordidness just as Willie Stark was of Louisiana’s. At least there was a story to The Black Dahlia. In fact there were about a dozen that I could make out. But I defy anyone to combine them all into one master-narrative on the basis of what we are told in the film itself. Though another of Hollywood’s great true-life mysteries is here accounted for, it is done in such a way — by the invention of an entirely fictional family of rich and utterly unscrupulous people who are capable of anything — as to obscure rather than elucidate the narrative arc. It’s like solving the mystery of Jack the Ripper by imagining him as a contemporary of the Borgias. Messrs DePalma and Friedman get away with this — to the extent they do get away with it — because we interpose an automatic corrective lens between ourselves and the period that fascinates us. The paradigm of respectable society as a mere façade to cover the most appalling sorts of corruption is by now so familiar that, some of us seem to imagine, no further explanation is needed for any particular vicious act. Especially on the part of the rich. But what the neo-noir directors generally don’t recognize is that the genre is at its best when the criminal is poor, not rich. It is precisely the genuine virtue, goodness and morality of the rich — those things that they rely on for their justification as a class apart — that was seen by the suppressed left-wingery of the genuinely noir era as the insult to the poor, the divinely ordained reason why they must be excluded from the elect. The poor person’s crime, therefore, is not just a drop in the ocean, one more act of viciousness in a world that is full of it, but an isolated act of defiance, and of honor, a protest against goodness itself and the divine ordering of the universe that has put him at the bottom of the heap. This view of the world was what was so powerful about the old noir films, and it loses all its meaning if you simply make the rich people secretly even more vicious and immoral than the poor people. But then we have to realize that the purpose of the neo-noir, the 21st century noir, is neither to advance a political cause nor to entertain but rather to congratulate its audience on its own perspicacity in keeping those now almost forgotten illusions firmly in their place upon the ash-heap of history.